With men making up just 15.3% of the care workforce, we ask male Care Worker Matthew Carter what made him choose a career in the home care industry. A recent article on homecare.co.uk revealed that a small minority of the home care workforce are male, and the problems this can cause when providing excellent quality care. 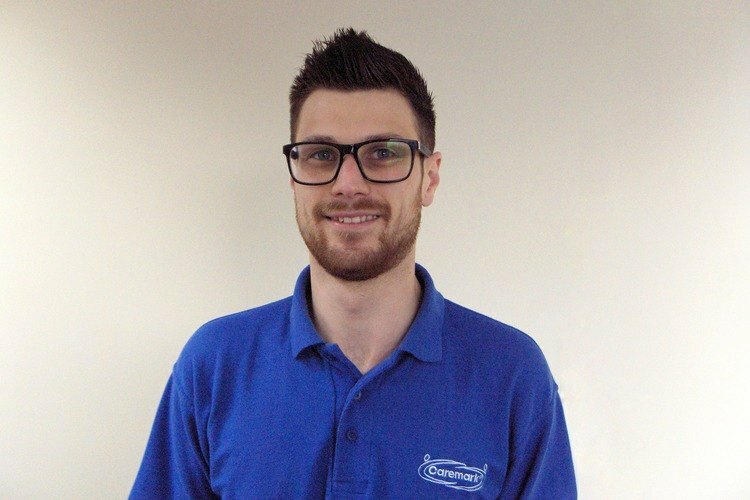 We spoke to Matthew Carter who has been working for the Caremark (Pulborough) team for over 4 years, about what it is that he enjoys about his work as a care worker. How did you get into social care? Is it something you always wanted to do? Did you ever have doubts about working in the care sector due to the workforce being predominantly female? Why do you think there are so few men working in social care? Do you work with many other male colleagues? Have any of your clients ever expressed a preference for having a male or female care worker? If so, did they say why or do you know why? Do you think it is important for there to be male care workers? Why/why not? What advice would you give to someone, particularly a man, considering a career in social care? “Go for it! It's a fantastic fulfilling career that gives you the best feeling everyday because you really feel that you are making a difference to people's lives. “I love my job I have made some great friends and have met some wonderful and interesting people along the way. I have also learnt so much about how different everybody's lives are and the different walks of life people come from. “The job isn't easy but it's worth the early starts and late finishes knowing that you have made someone's life that isn't that easy anymore a little easier, and it's not just the clients - it's their families too.